Jamaica is not only the place where reggae began; it is also one of the most visited Caribbean islands for travelers and tourists, welcoming around 2 million visitors every year. The island has a broad appeal not just for its serene turquoise waters and breathtaking beaches, but also for its rich culture, natural environment, and heritage. If you would like to follow in the footsteps of many an enlightened visitor, here are six spots that are famous among tourists – and for a good reason – that you should consider visiting. 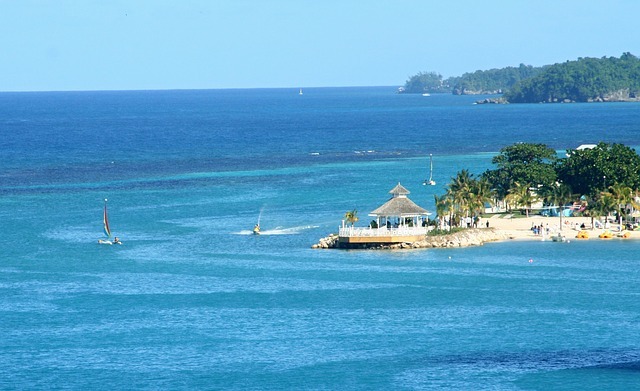 More of these locations can also be found by looking at things to do in jamaica – jamaicahotelreview.com. Located in the parish of St. Andrew, the Blue Mountain is the highest peak in Jamaica, standing at 2,256 meters tall. It is also home to the world-renowned Blue Mountain coffee. There are over 800 different species of endemic plant, as well as over 200 various types of birds all found within the park. You may also be lucky enough to see the world’s second-biggest butterfly. Nature fanatics will adore the tropical rainforest that covers 200,000 acres, where they will be able to enjoy views of the majestic mountain, lush flora and fauna, and cascading waterfalls. No Jamaican visit would be complete without experiencing something relating to Bob Marley. In Kingston, at the reggae legends former home in the center of Jamaica’s capital city, you can take a tour which will give you great insight into Bob Marley’s life before he died in 1981. The museum is open daily, and you will be able to see the bullet holes that remain in the wall from an attempt on Marley’s life. His most loved star-shaped guitar is still positioned undisturbed beside his bed. Located on site is also the Tuff Gong Studio, which is where Bob Marley recorded many of his top hits, and you will also be able to buy some authentic Bob Marley mementos items. In the 1920’s, the Doctor’s Cave Beach in Montego Bay gained popularity when news traveled that the waters had medicinal powers. It is still one of the most amazing beaches on the island, inviting visitors from around the world with its crystal clear turquoise waters and white sand. In cruise ship season, the beach is mainly busy as passengers flock to soak up the healing powers that the water offers. If you are an adventure seeker, Mystic Mountain will be the ideal place for you to spend a day. The Rainforest Sky Explorer will take you on a fantastic journey high above the tree line on a chairlift, allowing you to see incredible vistas of the Jamaican coastline and Ocho Rios. Once you reach the top, you can take an exciting ride down the mountain in a Bobsled. You can also make crisscrossing canopy tour through the rainforest with an adrenalin-filled ziplining adventure. Just in case you’re curious, this attraction was based off the movie cool runnings. Located in St. Elizabeth parish on the South Coast of the island, the Appleton Estate Rum Tour is not to be missed. It gives you a behind the scenes look at how one of the most popular rums in the world is made. You will start with a trip through history which begins in the 18th century, where donkeys were used to extract juices from the sugarcane, and the modern distillery as well as the aging house which is now used. The copper pot stills, which are responsible for the rums identifiable Appleton flavor, are also on display. You will also be treated to a rum tasting experience at the end of the tour, where you can taste a selection of Appleton’s finest luxurious rums. Anyone who has visited Jamaica will tell you that you haven’t experienced Jamaica until you have climbed up Dunn’s River Falls in Ocho Rios. These falls are one of Jamaica’s most popular and famous natural attractions, where you can enjoy the magnificent cascading waterfalls. You will need a guide who will show you how to climb to the top, where you will be able to soak in several natural Jacuzzis. The experience is incredibly invigorating and is completed by a rejuvenating swim at the beach below. Those are just some of the most amazing attractions in Jamaica. You should definitely consider checking them out.